Fenty Beauty shook the beauty industry to the core when they came out the gate with 40 shades of foundation. Now it seems that all brands from drugstore (a la CoverGirl) to high end are trying to follow suit. All of a sudden they are interested in catering to “all” complexions because they want our coins. Not because they truly care about diversity in beauty. 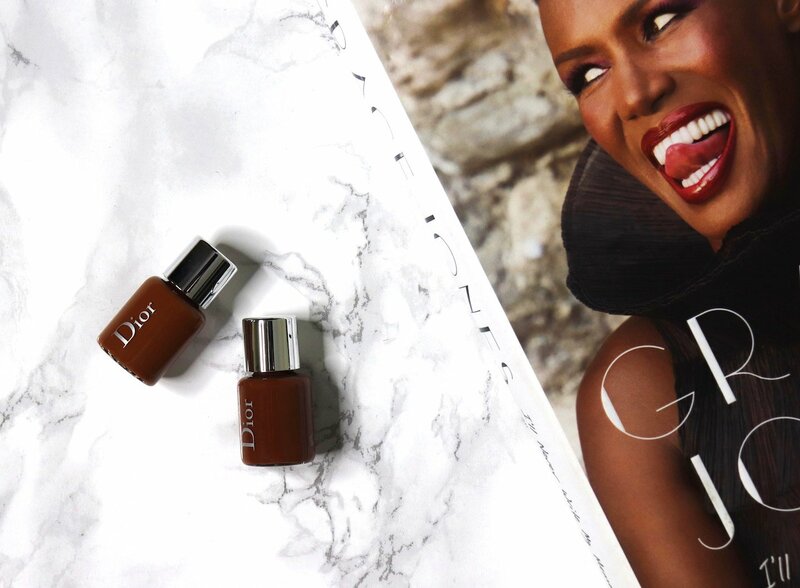 Dior Beauty launched the Dior Backstage Face & Body Foundation in 40 shades this past Summer. I heard but wasn’t really interested since this has been the trend lately. And I wasn’t running out to spend a dime since I have a huge stash of foundation to get through. But I saw that Princess Meghan wore this foundation on her wedding day. Her skin was flawless and it looked like she wasn’t wearing foundation at all. This peaked my interest as I’m all about foundation that allows my skin to shine through these days. Then I found a coupon code for 3 free trial size foundations while placing my last Sephora order. So I added two shades of the Dior foundation to my cart. 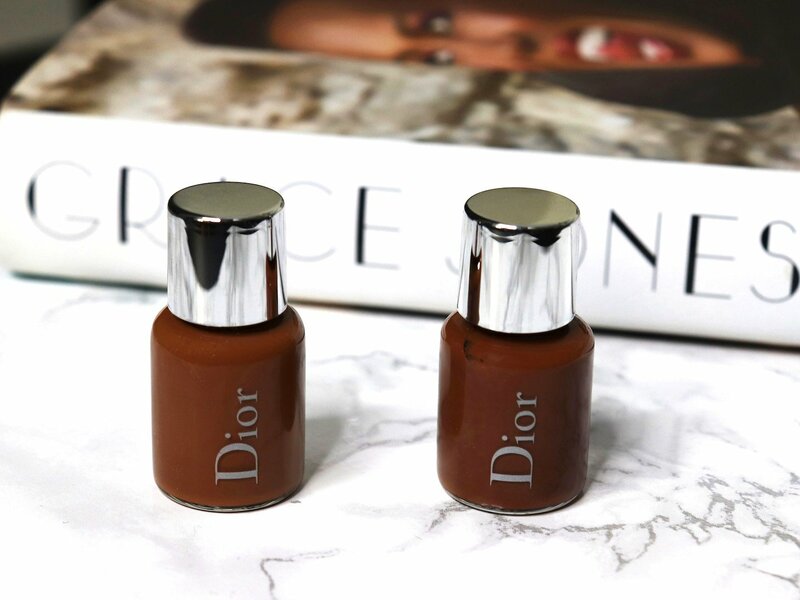 The Dior Backstage Face & Body Foundation has medium buildable coverage with a natural, matte finish. The waterproof, sweat resistant formula can be used pretty much anywhere on the body to camouflage minor imperfections. It fuses with the skin to resist extreme conditions like workout sessions, high humidity and scorching temperatures. As mentioned earlier the foundation is available in 40 shades from a porcelain pale to deep chocolate. The shades come in 3 undertones- cool(c), neutral(n) and warm(n). 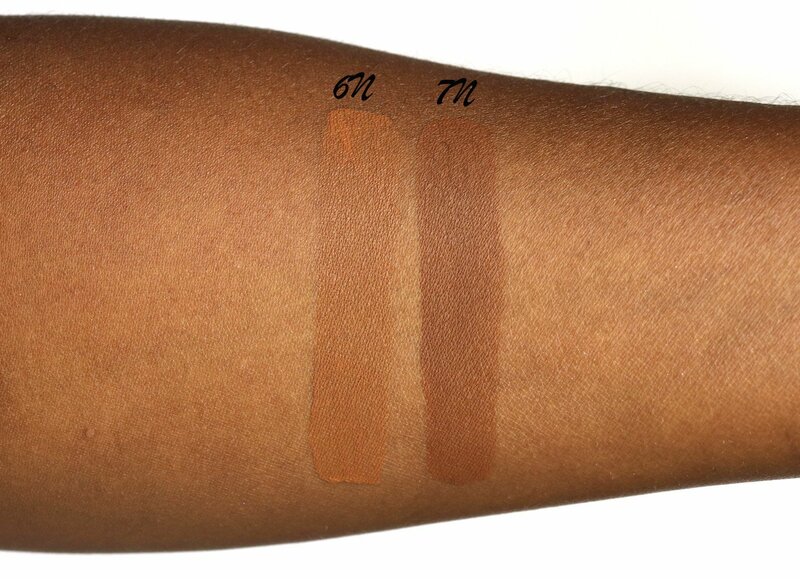 I chose samples of both 6N and 7N since I wasn’t sure which would be a match for my complexion. 6 Neutral matches my cool weather complexion perfectly. 7 Neutral would work well in the Summer when my skin is tanned. Let me get straight to the point, this foundation is amazing. It melts into the skin for a flawless, natural looking finish. There’s no oxidation and I don’t end up looking like an oompa loompa. It wears well all day. I don’t look like an oil slick by the afternoon and can get by with blotting my t-zone just once or twice for the day. Which says a lot since I usually have to blot every few hours. My skin develops a dewy glow over the course of the day instead of looking oily. I’m tempted to buy the full size when my sample runs out. It’s that good. The Dior Backstage Face & Body Foundation is available at Sephora $40. 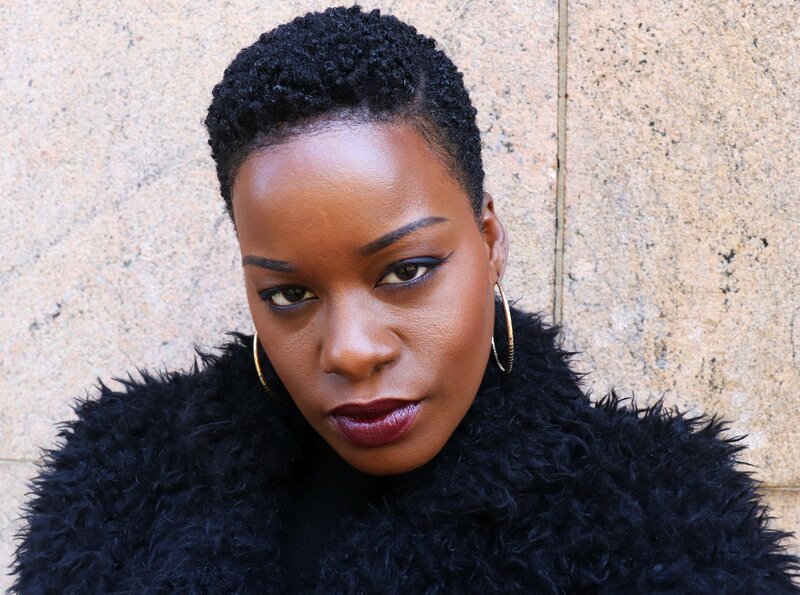 Use code DEEPSHADE to get 3 free trial size foundations in your shade with a $50 purchase. I love this! I have 2 shades too. 6N is my summer color…..5N is my well not ‘summer shade’ :). This foundation is sooooo good. I definitely plan to invest in the full size after I get through some of my current stash!